“Motor racing is dangerous”, it says on the back of the ticket. And yet some people put themselves in the danger zone voluntarily. Because it’s part of the job, but mostly because it’s in their blood. 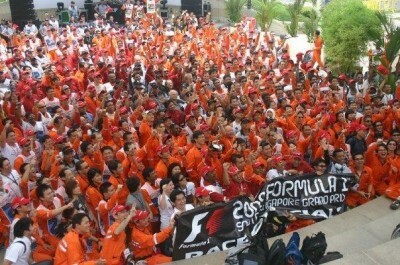 It’s easy to forget, but there would be no motor racing without the hundreds of marshals at every event. 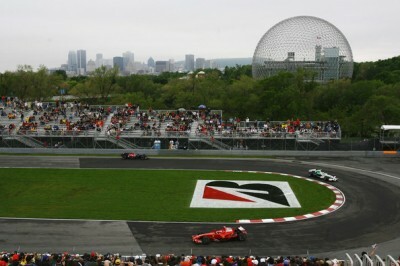 To say they are a special breed would be an understatement, as we found out at the Canadian Grand Prix. On Sunday after the race, there’s a great vibe at the marshal’s tent with everyone exchanging stories from the weekend over a beer or two. Or possibly three. “It’s one big family, that’s why everyone is still up here,” says Kevin, chief marshal of his local track Atlantic Motorsports Park in Shubenacadie, Nova Scotia, a hidden gem of a circuit which is owned and run by volunteers. Hundreds of marshals are working at a single Grand Prix weekend. It’s a big ask to make sure there are enough qualified marshals at each event. Marshals at the Singapore Grand Prix: one big family. A marshal's job is not without danger. "We have the ten second rule. There's nothing you can do in ten seconds, so first take the time to think", says marshal Kevin. In last year’s race, a marshal grabbed the headlines by tripping over in front of oncoming traffic while trying to pick up pieces of debris. 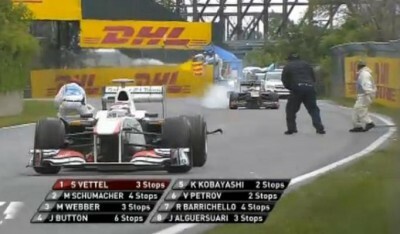 Not quite the way marshals want to be in the spotlights. After 17 years of marshaling, Kevin has plenty of standout experiences, but the moment that will always stay with him is Robert Kubica’s horrendous accident in 2007, in which the Pole smashed into the barriers in the run up to the hairpin, made several barrel rolls and ground to a halt into a completely destroyed car. Kubica remarkably walked away with just a concussion and a sprained ankle.